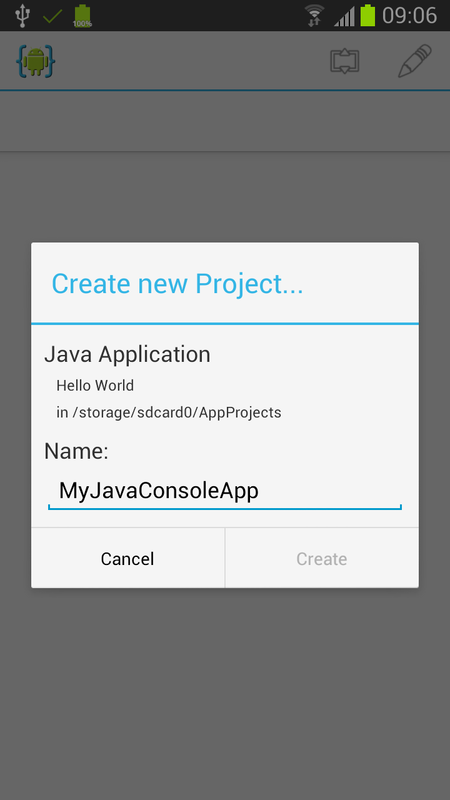 Steps to build and run a pure Java application. Install AIDE from Google Play on your Android device and start it. When you start AIDE for the first time in expert mode you will see the "Create new Project" dialog. If you have already opened a project the dialog will not show, but you can invoke it from AIDE's integrated file browser by choosing "Create new Project here...". 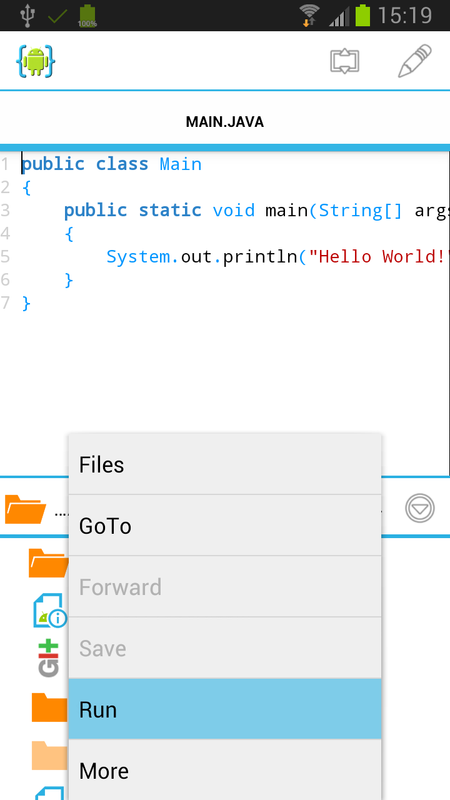 In the create app dialog you first choose the type of project you want to create. 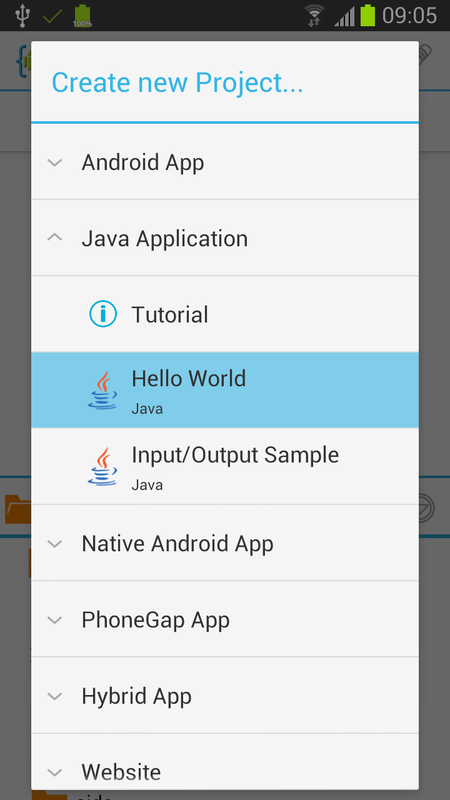 For your first Java application choose "Java Console App / Hello World" here. A dialog will popup where you can define the name of your new application. Finally, tap "Create" to make AIDE generate your new project. An application project contains all the files that comprise the source code for it. AIDE will generate these files on your SD card. 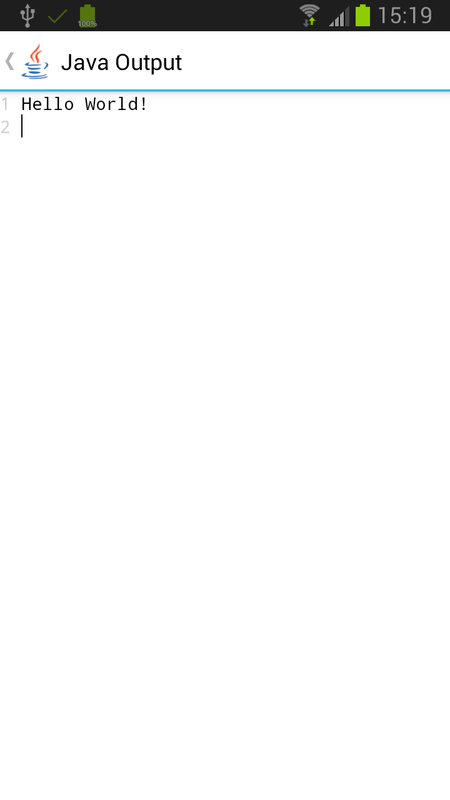 AIDE will also open the code file of the main class: Main.java. By default AIDE will create a Git repository for your new project. This behaviour can be turned off in the settings. See the tutorial about Using the Git version control system for more info. Running a Java console application with AIDE is easy. Just select "Run" from the menu. In order to run your application, AIDE will first compile it. You will see a popup showing the progress of the build. 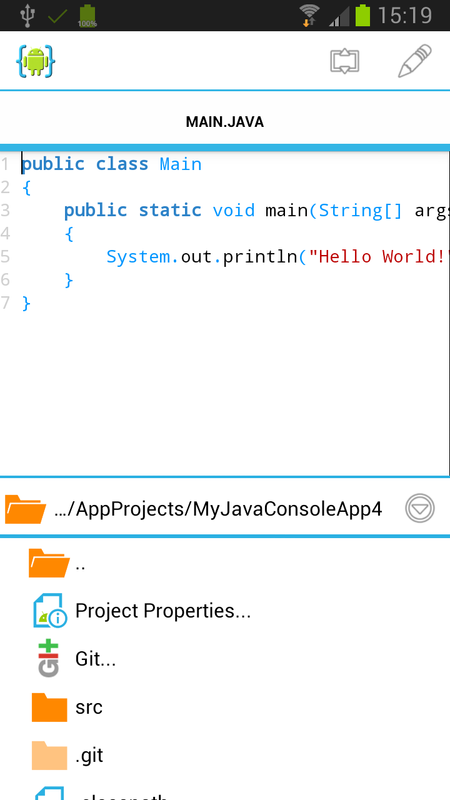 Once finished a new activity will popup with a console for the input/output of your Java application. The application itself runs sandboxed in a separate process.